With the Wealth Words craze touching the sky, there’s no crossword aficionado who hasn’t irrevocably fallen in love with this online crossword. Well, that’s what figures have to say. Yes, spanning in short period of a year, Wealth Words has managed to garner website visits as high as 6,27,40 along with a whopping player base of 1600. Now, doesn’t that speak volume about the love Wealth Words is being showered with? It certainly does. In fact, it has become the most played online crossword puzzle within families too. The other day, I saw Wilson family having a gala time playing this online crossword. Well, that’s how they spend their weekends these days. Instead of sleeping all day long or partying in pubs and bars, they have found a new way of enjoying their weekends through crosswords and, it certainly is the most productive way of relaxing and rejuvenating ever. In fact, it’s not only productive but, financially gratifying too. Yes, you heard that right. You can even win real money by playing games like Wealth Words. 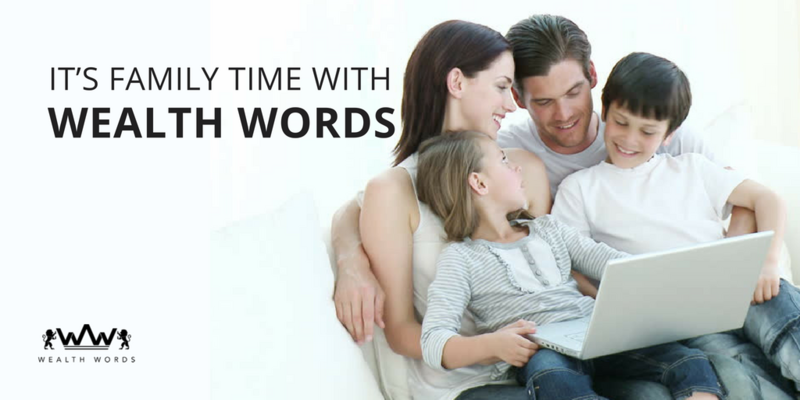 Well, there’s a reason Wilson family is all glued to their smartphones on weekends because, of course they are all busy making money with crosswords by winning real money as cash prizes at Wealth Words. Now, doesn’t that sound downright awesome? “I have started bonding with Grandpa like never before. Few minutes back, we cracked a Wealth Words puzzle together and the smile on Grandpa’s face was priceless.” Recalls, Rachel with a glee in her eyes, the 15 year old granddaughter of Mr. Wilson, who is taking her out on an ice cream date with the cash prizes they won. Isn’t that adorable? Never knew an online crossword could help people revive their family bonds too. Tugs me at heart. You feel me, don’t you? So, it certainly is family time with Wealth Words at the Wilson family. Well, what about you though? Don’t you want to try your hands at this amazingly crafted crossword puzzle game and make a few bucks out of it? Think about it; because cash prizes here won’t only let you take your loved ones on ice cream dates but, can also fulfill your bigger dreams like going on an exotic vacation or buying that Dolce and Gabbana shoes you have been eyeing for a pretty long time. Wondering how’s that possible? Well, do you know how bigger the pool of cash prizes at Wealth Words are? No idea? Okay, you might just lose your calm, my friend, because it is as high as a whooping $1600. Yes, it’s literally raining dollars at Wealth Words, which can be all yours if you play this puzzle right. Just a little focus and precision is all you need and there’s no way you won’t win real money playing games like this crossword puzzle games while laughing all the way to bank. How cool would be that! So, why not follow the Wilson family footstep and indulge in the extensive puzzling sessions of Wealth Words while spending some quality time with your family? Sounds like a great idea, doesn’t it? Well, then go and grab any of your digital device and register at its website to play and win big here. 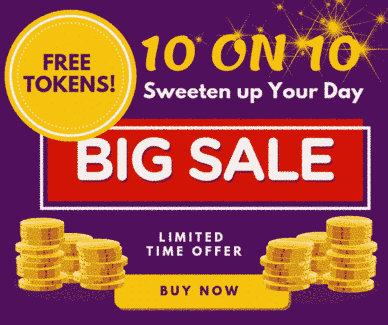 However, make sure you purchase its tokens ($2 each) for playing this game seamlessly while submitting your answers in an active time frame of an hour. Yes, a time limit per player has been set to give everyone a fair chance to play and excel at this oh-so-intriguing online crossword. All set to drive through this digitally driven word game? It surely is going to pump up your adrenaline rush with a plethora of its word games ranging between active and divisional puzzles. While the active puzzles have word games ranging between 2 to 20 words with cash prizes as high as $1600 (told you already! ), the divisional puzzles range between division 1 and 2; where getting all of its 20 puzzles right rewards you with division 1 cash prizes and being on the second highest correct answer position gives you the division 2 cash prizes. Pretty simple and effortless, isn’t it? Well, it’s high time you unleash your inner wordsmith while making your pocket and heart, both warm the Wealth Words way. And, yes, do share your experience of playing crosswords online with your family with us. Would love to know about it. Looking forward to some interesting and fun experience in the comments below. Have a happy puzzling day ahead. Good luck, folks!